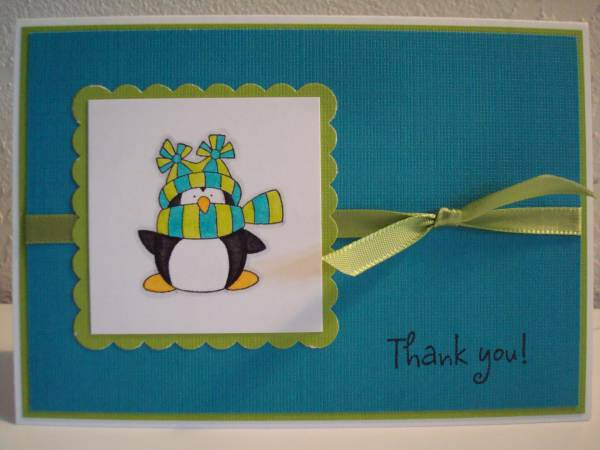 Here is a simple Thank You card I made for a customer using one of The Angel Company's Gift With Purchase (GWP) stamps, Cuddly Penguin. 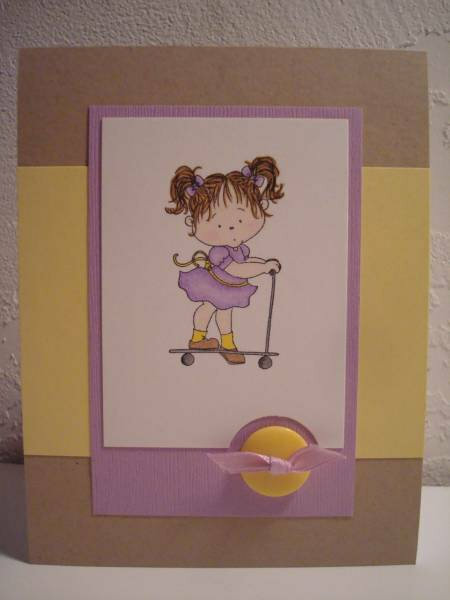 This adorable stamp is one of 6 you can choose from as a FREE gift when you place a $30 order from The Angel Company. 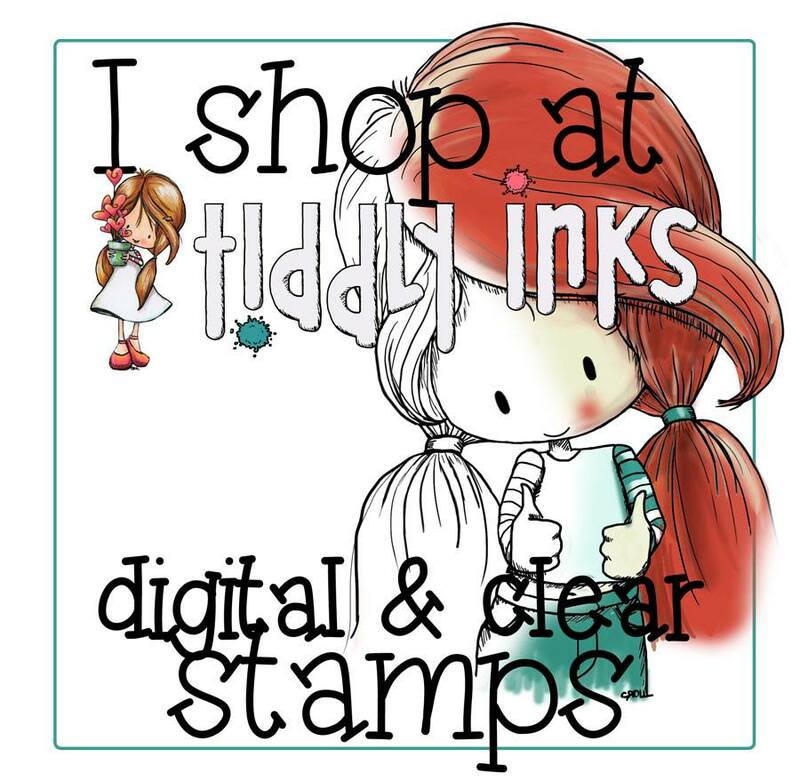 During Stamp-Pa-Palooza (November 1st through January 31st) you can choose 2 Gift With Purchase stamps or 2 Purchase With Purchase stamps FREE with every $30 order! 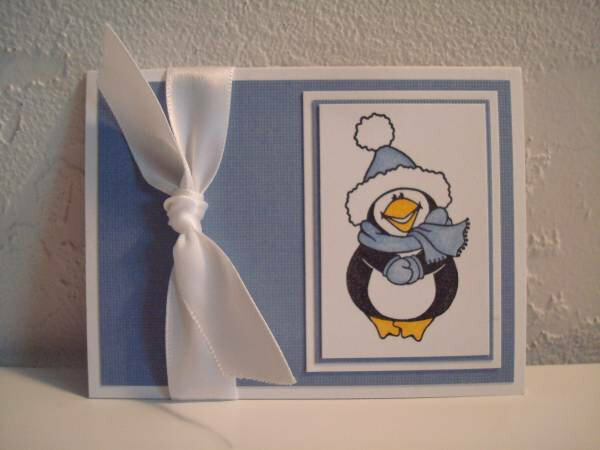 If you would like to place an order to get one of these cute Cuddly Penguin stamps for yourself, please contact me! 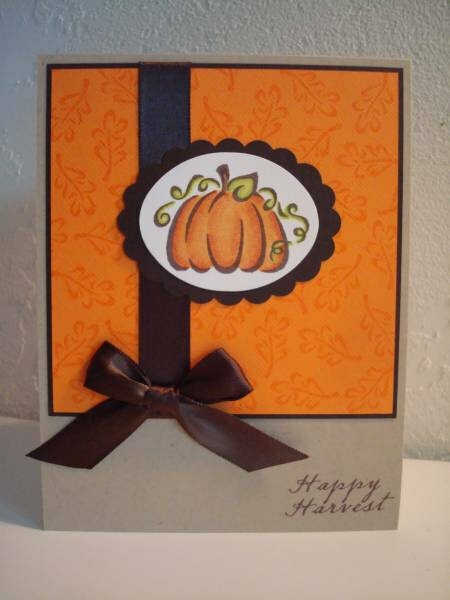 If you would like more information about the products you see, or would like to place an order, please contact me! 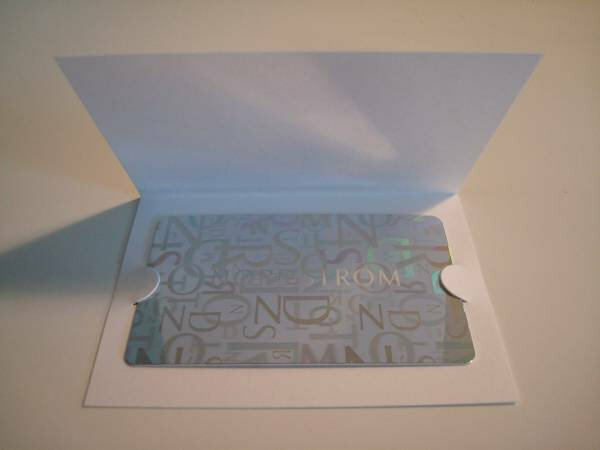 These are gift card holders! 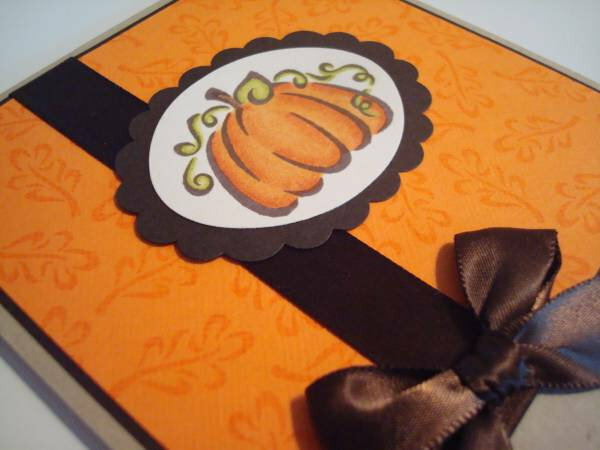 Gift cards are popular gifts, but why not personalize them with handmade holders? 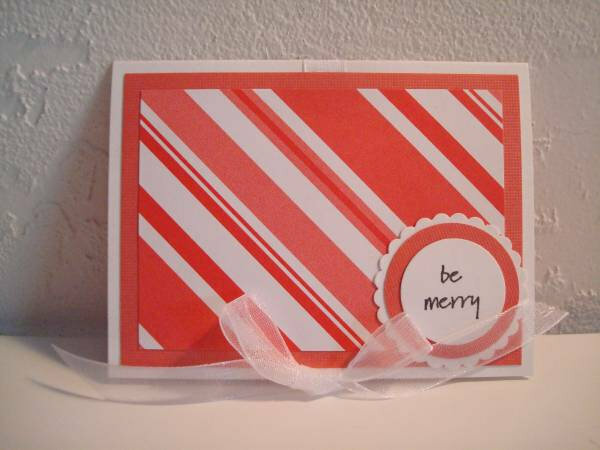 All it takes to make one is a piece of 4" by 6" cardstock (I like The Angel Company's Premium White Cardstock for these) folded in half, and decorated however you like. Here is what the inside looks like.. Check out these great specials from The Angel Company! Who doesn't like to get FREE stuff? If you don't have a catalog yet, just contact me!